Buhari is confused because, God's hand is not short ... To delivered his people. The human heart makes plans, but the answer that the tonque utters is from the Lord. People (Buhari) may be satisfied with all of their deeds, but it is the Lord who judges the motives (cf. Proverbs. The trust is that the President did not wants to accept defeat. How can ordinary Nnamdi Kanu defeats a whole President...? So, he is ashamed... and for this reason, it will be difficult for him to let the young hero to go. Therefore, this is the final battle. Biafrans wake up and possess your possession.. (Obadiah 1:17). 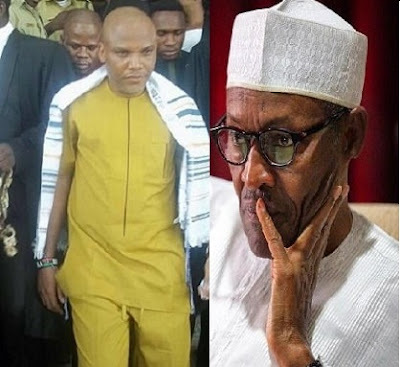 Nnamdi KANU will be the last Hero .. We love Jesus ! We love Biafra !! and We love Kanu !! With KANU, victory is sure.